In an article on computer magazine Liliputing today, it’s mentioned that the Italian computer magazine Notebook Italia have had an early look at the new Qualcomm Snapdragon 850 version of the 12-inch Huawei MateBook E.
The new Huawei MateBook E first showed up in China in March, before it was internationally certified with the Qualcomm Snapdragon 850 processor and Bluetooth 5.0 last Thursday. But now with the video from Notebook Italia we have some idea what the rest of the specs are too. And based on the video, the new Huawei MateBook E is mostly just the same model as the predecessor, only that this model runs Windows on ARM instead of the Intel Core processors on the previous Huawei MateBook E 2-in-1 tablet. Running Windows 10 S with optional free upgrade to Windows 10 Pro, it has model options of 4GB or 8GB RAM, 128GB or 256GB of UFS storage, and the same 2160 x 1440 resolution as before with digitizer support, and 4G LTE naturally. The design is still 12-inch Windows 10 2-in-1 tablet with focus on mobility. New is the introduction of a 13MP rear camera as there were none formerly. On the front there’s a 5MP rear camera, and we also get a USB C port, a fingerprint reader, and Dolby Atomos stereo speakers. 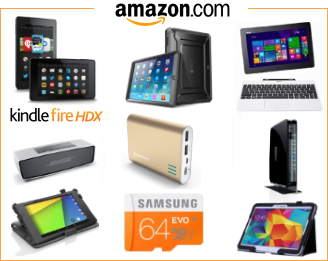 Battery life is rated to 20 hours long, which is standard in this particular tablet category now. With this sort of hardware, the Huawei MateBook E (PAK-AL09) performs just like the Samsung Galaxy Book2 which has the same main hardware. 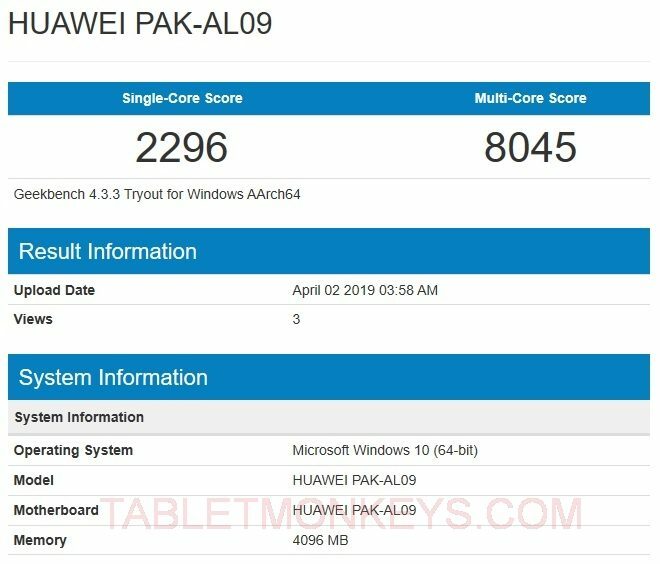 The highest average Geekbench 4 benchmark scores achieved for the new Huawei MateBook E are around 2300 in single-core, and 7900 in multi-core scores. Huawei has yet to announce this Windows 10 2-in-1 tablet for the Western markets, but considering that Samsung’s model was launched for $999, that gives us some indication of what to expect.